The CBD industry is blooming and booming, with new companies cropping up like weeds in a very large garden. Projected by some analysts to be a $22 billion industry by the year 2022, (Brightfield Group), the highly saturated market has created a lot of room for questionable products and brands that serve both humans and pets. With intense research, interviewing company founders and trying out dozens of products, we have determined three brands that really stand out. 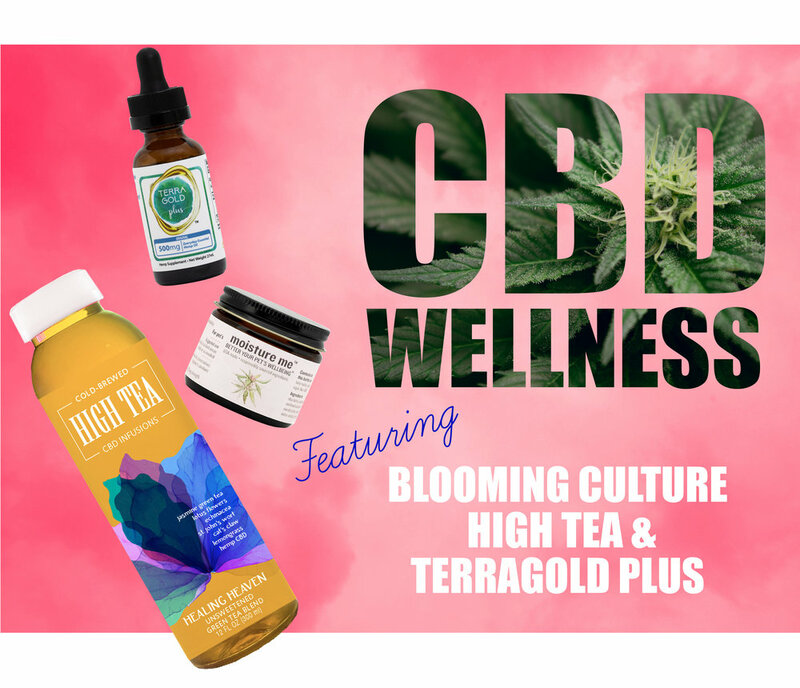 Passing our test for quality, effectiveness, ethical practices and having been grown from the passions of an involved founder, we’ve determined the best of the best in CBD wellness: Terra Gold Plus, Blooming Culture and High Tea. As humans are becoming increasingly mindful of their wellness regime, a greater consideration for pet health has also naturally developed. Increasingly data is showing that CBD helps alleviate conditions akin to those it relieves in humans. Top veterinary medical study facilities, like Cornell University are backing CBD’s ability to help pets with conditions like osteoarthritis. That’s great new’s for those with aging pets. A large number of CBD brands offer a pet products, rightfully capitalizing on CBD’s ability to help pets. Very few are fully concerned with the four-legged sect. Blooming Culture,stands amongst those offering pet specific products. Not only are the products they offer geared towards helping pets, the company also donates to several animal charities. Blooming Culture founder Andreana Pena has always loved animals and that is what propelled her to start a company that introduced a nutritious and much loved dog treat. 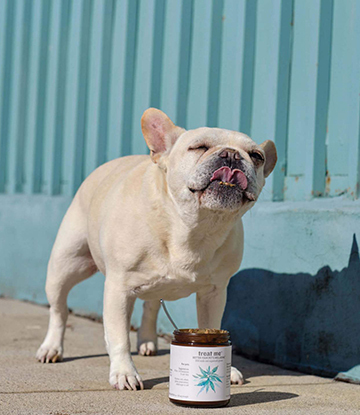 In 2010, she began Arrfscarf, the first and only meat-based dog ice cream to hit the market. At Arrfscarf’s inception, she knew that she wanted to use her product to help animals in need. In fact, it was her first rescue pup, Maru, who inspired this desire. “She [Maru] taught me to be a better, kinder person with a lot more empathy than I had,” Pena said. With every Blooming Culture purchase you make, 3% of the sale goes back to charity. In Maru’s honor, who passed away last year, Pena has partnered with two organizations. One of the non-profit organizations is Chicago based K94Keeps, a volunteer powered animal shelter. Choosing Blooming Culture also supports the wonderful foundation Live Like Roo. The organization supports both pets and their owners through a pets’ cancer diagnosis. “It can very emotional draining for the people on the frontlines helping pets and we wanted to help,” Pena says. “CBD is more than amazing for the way it can support the side effects endured by animals during chemo and radiation, along with using it to help keep certain cancers at bay. With pet’s living longer these days, over 50% of dogs over the age of 10 will face a cancer diagnosis. As a company if we can get behind this and help, why wouldn’t we?,” Pena said. Both foundations Pena supports are run by women. As a female business owner, it has always been important to her to support other female go-getters. In fact, there exists a community specific to women in the cannabis industry and she wants to help it grow. “We want to be a driving force to keep the community growing. It’s pretty amazing that there are so groups out there supporting women founders,” Pena said. Photo: Blooming Culture. Click to Visit! Pena’s devotion to charity sets her brand apart, but does her passion for CBD health. She initially became interested in CBD products when her sister-in-law was diagnosed with brain cancer. She began heavily researching CBD in efforts to help her sister-in-law and was wowed by the findings and testimonies. This led Pena on the path to use CBD in combatting her fibromyalgia. “I don’t know if I would have been as open to it unless we had already started on the journey for my husband’s sister. But at that point I knew enough to know how powerful the plant could be, and it was just a matter of finding what worked for you,” she said. When Pena learned of CBD’s benefits for animals, she decided to try it out on her dog who was suffering from seizures. She was please to find CBD a game-changer. Now that her beloved Maru is gone, she wishes she had found CBD earlier. “I wish I had started her on a CBD routine years ago because of all the noted prevention benefits it has. I always think maybe things would have been different,” Pena said. Today, the products she has developed now enables pet parents to take this approach to preventive pet care, an option she has made more readily available. Blooming Culture will continue to unveil new CBD wellness products for pets while supportting multiple charties. “Our main partner will remain Live Like Roo, they align with our mission and we make a great team. But I am always happy to donate in other ways to other organizations if we can. We will continue to grow the wellness education arm of our company, too. Knowledge is power and giving people information can lead to better choices,” Pena said. Always reaching for the latest research and industry news, Pena prefers to keep up with the industry and data flow via podcasts produced by CannaInsider. She also always encourages pet owners to do their own homework. This is in addition to keeping their vets informed about changes to their pets’ health regime. Consulting directly with a veterinary medicine professional was definitely a big part research. She personally works with Los Angeles based Dr.Tori Counter, who is founder of the Balanced Pet Vet. Trained in both traditional and eastern veterinary medicine, her approach to treating the pet is to look at their lifestyle, or quality of life, as a whole. This philosophy spoke to Pena. “We both believe in incorporating different modalities into a pet’s regime so everything can work synergistically,” Pena said. Using CBD oil first-hand has also shaped her research and product development. As previously mentioned, CBD oil has become a mainstay in her approach to relieving the severe pain she faces in association with fibromyalgia. With CBD oil, not only is she living a full life but she is helping animals on all fronts, fulfilling her greatest passion. “Having an animal sanctuary for medical animals would be a dream, but I realize one step at a time. And I will see where my journey takes me,” Pena said. In any case, she is already off to a great start. Expertise was certainly something we sought out the best CBD brands out there and no one knows tea better than Miriam Novalle. Dubbed “The Tea Guru” by The New York Times and consulted by the big wigs at Starbucks and Wholefoods, Novalle counts Oprah and the Dalai Llama fans of her custom blends. Her tea is also regularly featured at high profile events. In fact, it’s her tea that has been poured at the Dalai Llama’s last five birthday celebrations. Creator of the famed New York City based T Salon, a once destination for tea and now online retailer, Miriam knows tea and has created the most enjoyable way to CBD wellness with High Tea. Novalle’s passion for tea was the basis of the product line, but it was also a deep respect for the capabilities of CBD to treat a multitude of ailments. Specifically, her sister’s battle with ovarian cancer led Novalle to look for a product to ease her pain. Ask her about her sister’s passing and you will get a positive attitude that reflects a celebration of her sister’s life, versus focusing on her own loss. She will tell you that Cannabinoids made her sister’s struggle more bearable, which in turn soothed her worried mind. Eventually, she too found herself using CBD, which helped her cope with sister’s illness and ultimate death. Recognizing that CBD did not just help not just people suffering from cancer, Parkinson’s and epileptic seizures, she set out to create a product that could help just about anyone. “We are trying to get people to get off a pill, a joint, a drink and get them to understand that CBD chills them, brings them to a place of relaxation and a good night’s sleep,” Novalle said. “People feel more balanced and are able to cope in an increasingly challenging world, giving them the ability to be more creative, productive and fulfilled. A straight-talking, “ tough cookie” from New York, with more passion in her little finger than most do in their whole body, Novalle is is as generous as she is an enterprising businesswoman. She contributes to various breast cancer, ovarian cancer and heart health foundations and lives with great integrity and compassion. “The world would be a better place with if all did things from the heart, were conscious of what we say and are proactive about personal wellness,” Novalle said. You can expect the quality of Novalle’s teas surpasses others. If it’s good enough for Oprah, you can count on it being good. Tea is her passion and she has always put extreme effort in creating the most enticing and beneficial blends on the market. “Each blend has a story, they become my children,” Novalle said. When developing a flavor, she considers everything from a seasonal approach, including what is appropriate for upcoming holidays and the geographic location of her customer. As a person of great personal and professional integrity, she cares where her tea is sourced. Currently, Novalle sources her tea from five different countries. About every three years she tries to visit each estate to spend time with the farmers, ensuring that fair-trade and sustainability practices are in place. Novelle applies that same level of care in sourcing the CBD oil she uses, playing close attention to purity and the practices by which it was cultivated. Like many wellness products on the market, consistency is key with CBD in order to receive maximum benefits. Enjoying a delicious cup of tea is already a mainstay for many, so combining the two sounded like a no-brainer to Novalle. It’s the ultimate way to indulge in some self-care in her opinion, as tea by nature teaches one to slow down and savor each sip. Combining cbd oil with an already relaxing practice, just enhances the products’ ability to have a calming effect. Although tea is the mainstay of her business, she also offers chocolates and salves, which are also products that challenge one to take a moment to indulge. When not busy hosting events, working with charitable organizations, or creating private blends for celebrities, Novalle travels to CBD expos and talks, sharing the benefits of CBD tea. She believes in her product deeply, stands by its quality and is very much proud to be helping people live better lives with CBD. Check out her latest podcast HERE! Our last pick, but definitely not least, is a TerraGold Plus. We loved that the company offers many different types of products that serve both humans and pets. There are capsules and tinctures, patches and body balms. Terra Gold Plus even offers a 98% pure crystalline form of CBD that can be added to foods like smoothies. For the person that’s just getting acquainted with CBD and isn’t quite sure what’s their best option, they offer starter kits that allow you to get to know CBD in its various popular incarnations. Like High Tea and Blooming Culture, there are some really passionate people behind TerraGold Plus. The founders go way back, back to college in Steamboat Springs, Colorado where they first became friends and eventual roommates. Back then they had no idea their friendship would lead to the creation of one of the best CBD brands on the market. Fast forward a few decades and add marriage, kids, dogs, a “fight” with a saw (we’re told the saw “won the battle”), some back surgeries, car accidents and a whole lot of pain. While collectively searching for something better to treat life’s mishaps, they discovered CBD. This was when Colorado legalized cannabis for recreational use, opening up the market for cannabis products in the United States. Although the medical marijuana industry was young at the time, they knew they were onto something that had the potential to help many people. After doing all the necessary research and developing a close relationship with hemp farmers and producers, they came to create TerraGold Plus. Wanting the brand to speak to both men and women, the guys sought the advice of their wives, bringing their entire families on board. In fact, the guys will tell you, “Let’s face it, the wives are really the brains and backbone behind the brand.” All involved had one common goal in mind. 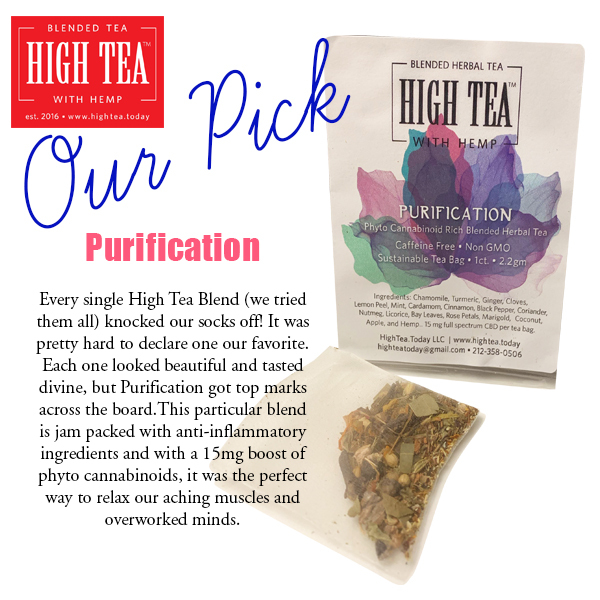 “We had all been seeking holistic ways of relieving inflammation, pain, and anxiety for years and found CBD to work the best. TerraGold Plus was born in order to help others who were suffering like we were, to help find a better solution to regain their health and to live their best life,” they said. 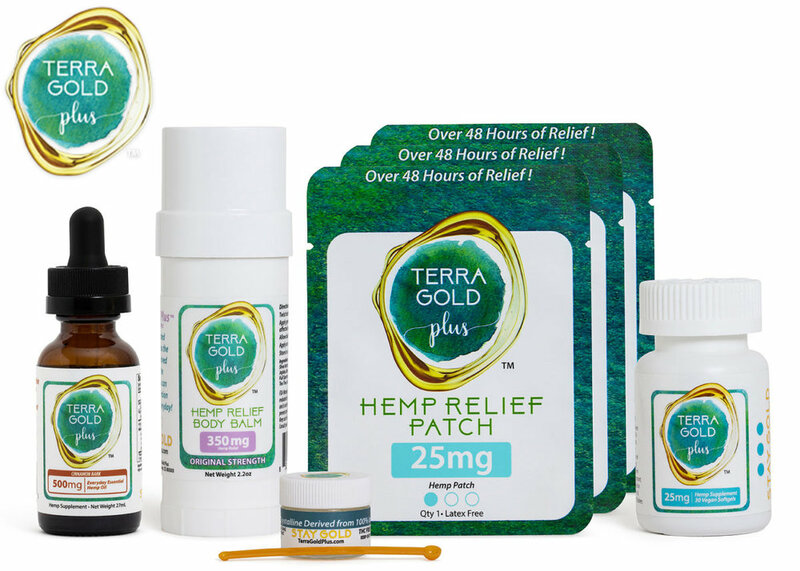 Terra Gold Plus works with a select group of hemp farmers located in Colorado. They only works with suppliers certified by the Colorado Department of Public Health and Environment, all the while following the criteria established for “good manufacturing practices,” or GMP. “These producers value the soil that the hemp is grown in and nurture the plants as they grow. It is very important to us that we work with people who share our core values in business and care about their impact on the environment,” they said. “We have learned a lot over the past five years in this business. Relationships really matter and having strong supply chain partners are key to the overall success of our company. One major thing we knew coming in was that we are not farmers, so allowing the experts who are growers to do their thing, allows us to be successful in doing ours. It is important for us to use domestically grown hemp to reduce the time and energy it takes to bring the plants to the production facility and further to support the domestic economy,” they said. Customers of their own brand, the founders of TerraGold Plus are certainly concerned with the purity of their product. The company employs high-tech third-parity labs. The hemp is initially tested even before processed into a concentrate. The concentrate is then tested. Next step, the concentrate is used in the creation of their products by an enlisted team of formulators and doctors. A third test is completed on the finished product before it is labeled and makes its way to the customer. The basis, or really starting point of the Terra Gold Plus line is their CBD patch for aching joints and muscles.It was their goal to create the best one on the market and they are confident they got it right. “Our patch is a great conversation starter whereby we then can explain more about our full line of tinctures, topicals, isolate, and pills,” they said. The gem of the TerraGold Plus line may be their CBD patch, but customers really love their oil tinctures. Their number one seller, and our favorite (although we do attest that the patch is amazing), is the 500mg CBD Oil Drops. Our human testers assured that it does what it is intended to do: relieve pain, anxiety and combat sleep disorders amongst a long list of possible benefits. You can bet that the tincture will remain a benchmark in the TerraGold line, but the company also has plans to further expand its topical solutions. Currently, a massage oil and body cream are in the works. They also plain to expand their range of patches to address specific concerns. Also new to the line-up is The TerraGold Plus Paws oil for dogs. TerraGold Plus has a newly established affiliate program, empowering customers to share Terra Gold Plus with their personal network. Relying on word-of-mouth and not paid advertising is part of their strive to grow the CBD community, while specifically bolstering their much valued customers. “Why not let our customers earn extra income while supporting a product they actual use. The affiliate program is really new and we are currently expanding this program and welcoming in affiliates that are in alignment with our values to represent our brand. C’mon over and join the TerraGold Plus Family,” they said. What drew our collective to TerraGold Plus was not cutesy advertising or a trendy digital presence. The quality and purity of the entire line and its versatility, make TerraGold Plus stand out. What makes this company additionally amazing is its commitment to charity. Recently, in solidifying their commitment to the environment, TerraGold Plus has partnered with One Tree Planted. Together they hope to to thwart deforestation. With every order placed online, TerraGold Plus will plant one tree in conjunction with the non-profit organization. In fact, each dollar spent allows for one tree to be planted.. “We will continue to explore how TerraGold Plus can continue to use its platform and network to expand its giving and hopefully help make a lasting change,” they said. Products that will enhance your life and the world around you! doTerra essential oils are making the world a better place for girls and women, helping to end human trafficking around the world.